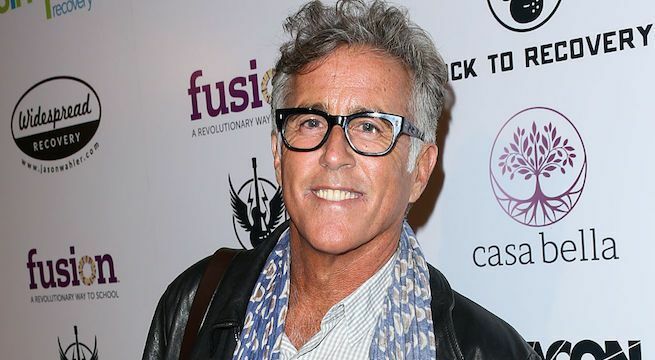 Christopher Lawford, the nephew of president John F. Kennedy and the son of Patricia Kennedy and Peter Lawford, has died, according to his family. He was 63. Lawford's cousin, Kerry Kennedy, who is Robert Kennedy's daughter, announced the news on Twitter. We mourn the loss of my cousin Christopher Lawford, Rest in Peace. "We mourn the loss of my cousin Christopher Lawford, Rest in Peace," she wrote on Wednesday along with a photo of him with his son, David, as well as a photo of him and their family at the 2000 Democratic Convention. While no official cause of death has been announced, law enforcement sources told TMZ that Lawford was at a yoga studio Tuesday night when he had a medical emergency and later died from "natural causes." An actor, author and political activist, Lawford worked with his uncle, the late Senator Ted Kennedy. He appeared in Terminator III, General Hospital, Frasier, All My Children and other various TV series, as well as authored his New York Times bestselling book, Symptoms of Withdrawal. He was also a correspondent on EXTRA and worked with the Special Olympics, which his aunt Eunice Shriver helped create. His mother, Patricia Kennedy, was president John F. Kennedy's sister. His father, Peter Lawford, was a Rat Pack actor. Lawford had three children with his first wife, Jeannie Olsson: David Christopher Kennedy Lawford, Savannah Rose Lawford and Matthew Peter Valentine Lawford. Christopher Lawford and Olsson divorced in 2000. In 2005, he married Lana Antonova, a Russian actress. The two divorced in 2009. Later in 2014, PEOPLE reported that he had married yoga instructor Mercedes Miller in Hawaii. According to his Facebook page, at the time of his death Lawford had been in a relationship with a woman named Kyla Resch since August 2017. He spoke openly about his history with drug abuse during the 1970s and '80s, telling PEOPLE in 1991 that he was forced to drop out of Fordham University due to a heroin addiction. He was also reportedly arrested in 1980 for allegedly impersonating a doctor to write prescriptions.